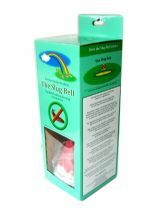 Welcome to Rainbow Garden Products WHAT IS A SLUGBELL? 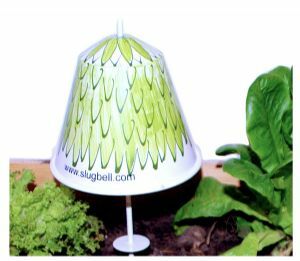 What is a SLUGBELL and how it works ? Hedgehogs, Bees, Earthworms, Wildlife and the Environment as the pellets are not scattered around the garden where they can be accidentally picked up. 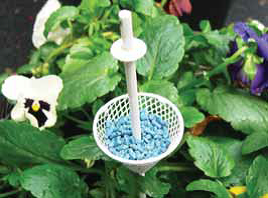 The BELL shape prevents the pellets being washed away into the soil and keep them dry and work for longer. 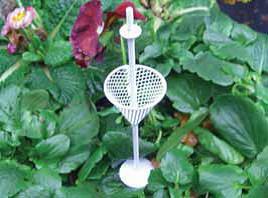 The mesh basket of the Slugbell is filled with slug pellets which contain yeast extr act that attracts slug and snails towards bell. They climb up the metal stick, feast on the pellets and then return to where they originally came from perish. 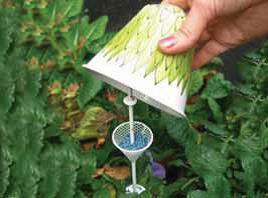 The SLUGBELL controls the slug and snails in an area of approximately 8 ft/2.5 meters.The complete SLUG BELL can be moved around by the top of the spike aftre every 5 days. Hand painted, varnished and made of Metal. It may develop rust surface and decolourasation but will be enjoyed for many years. 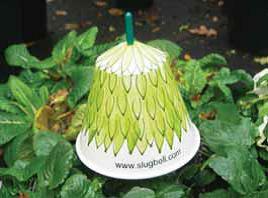 The flower pattern on the Slugbell also blend into the garden surroundings as a colourful ornament all year around. 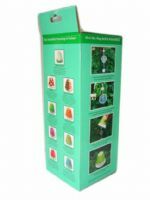 The SLUGBELL and Pot Plant SLUGBELL come in a beautiful presentation box making an ideal gift for the keen gardener as each color has a personal meaning.